Perhaps it was because your child spied a colorful toy, wanted the cereal with the cartoon character that you’ve banned, or was fed up with being strapped down in a cart or stroller. 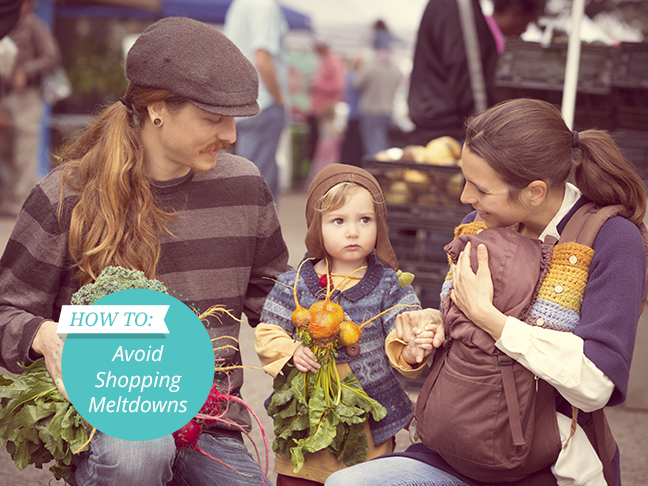 Whether you’re grocery shopping or buying gifts, you’ll want to keep these 5 secrets to shopping with a child in mind to save your sanity and avoid a messy scene during your next shopping trip. Another secret to distracting your child is to bring a new or favorite snack along for him/her to munch on. The classics include Cheerios, Goldfish, and fruit snacks. A shopping trick that Mandy uses when she gets desperate is dialing a friend. “When the ‘I wants’ get started, I simply dial my mom, give the phone to my oldest, plop him in the back of the cart and let Nana babysit for a half hour,” she says. While some parents cringe at the thought of offering rewards for good behavior, most know it’s only a matter of time. The promise of a treat can go a long way toward giving you some extra shopping time. Rewards can include a new toy, coloring book, watching a favorite cartoon or listening to music, going to the park or library, or a special edible. However, if your child doesn’t carry through with his end of the deal (i.e. good behavior during the shopping trip), then you have to be willing to deny you child the reward. This is one of the ways in which children learn that actions have consequences.